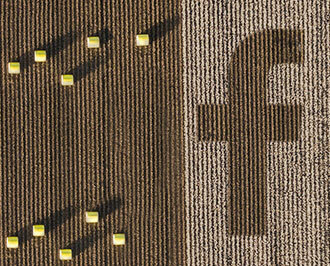 Our latest innovative product in the Crop Packaging Products market is a real game changer. 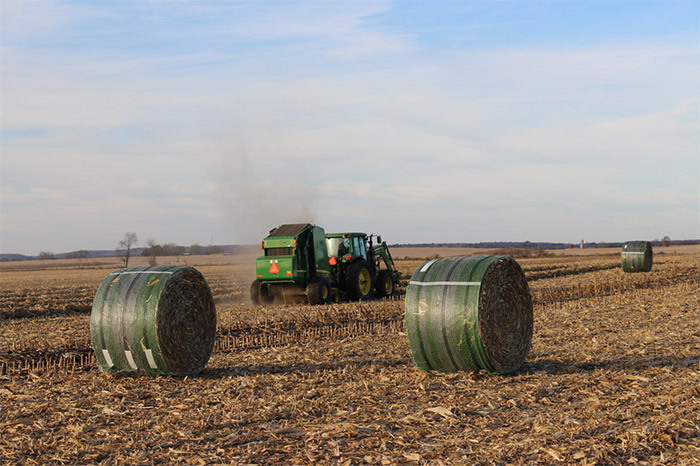 The revolutionary John Deere B-Wrap®, a joint development by Tama and John Deere, is made especially for bales stored outdoors in tough weather conditions. 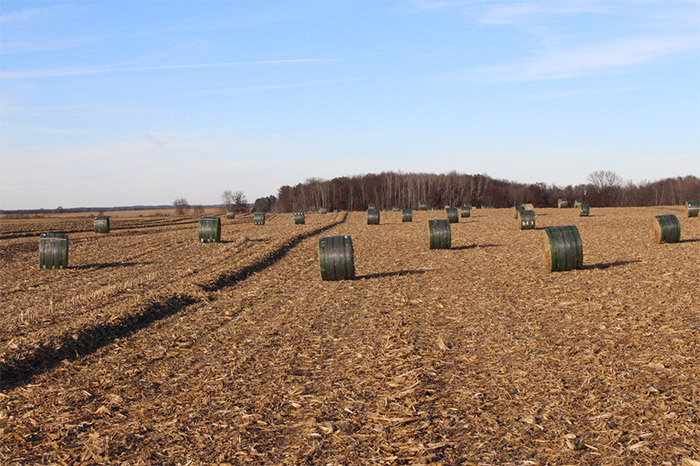 It protects your valuable hay crop from rain, snow, and ground moisture. You get barn-quality hay without the barn. through winter, or the hay you plan to sell. 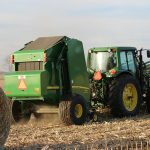 B-Wrap® is also great for preserving straw and other crop residues. 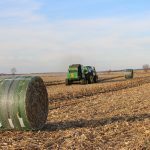 B-Wrap® works with John Deere 7 Series, 8 Series, and 9 Series Round Balers that are equipped for netwrap. All you need is a dealer-installed B-Wrap® kit. Sheds water, so that hay quality will not be damaged by rain or snow. Microscopic pores let water vapor, inside the bale, escape. Keeps moisture from going into the bale. 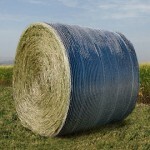 B-Wrap® protects your hay (and straw and crop residue) almost like it was stored indoors. The secret is a patented material that features Tama SCM™ Technology. 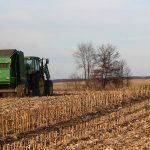 Sheds water, so that hay quality will not be damaged by rain, snow, and ground moisture. Tama SCM™ Technology has microscopic pores that let water vapor, inside the bale, escape. 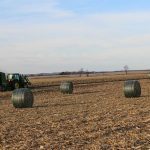 The microscopic pores are crucial to preserving hay quality. 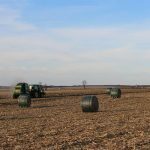 In the past, farmers have covered bales with water-proof plastic, only to find mold had formed on the outside of the bale where water vapor condensed on the plastic. That doesn’t happen with B-Wrap®. 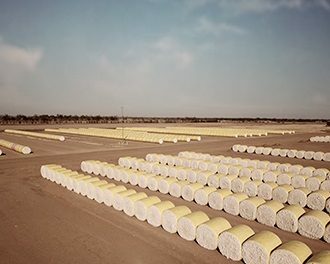 Tama SCM™ Technology keeps moisture from going into the bale, yet lets water vapor escape. Brilliant! 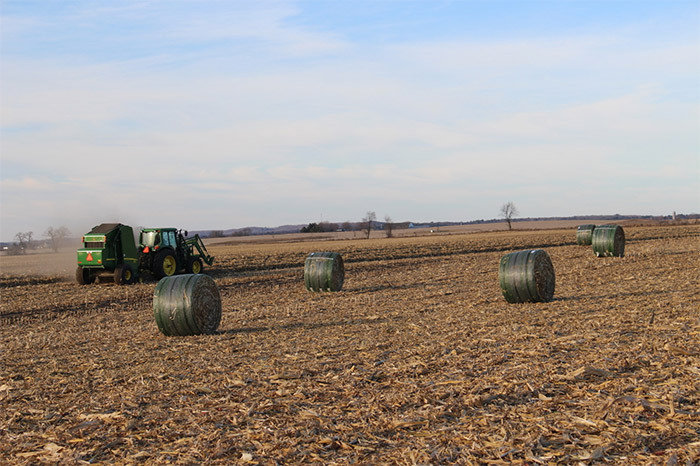 A roll of B-Wrap® will wrap and protect 35 bales in 5’ width and 45 bales in 4’ width. 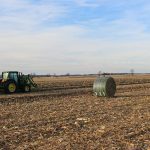 With B-Wrap®, bale size can be adjusted to make bales up to 68 inches in diameter. 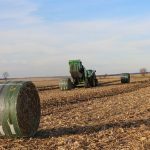 A roll of B-Wrap® weighs approximately 90 pounds, which is similar to current rolls of John Deere Netwrap. 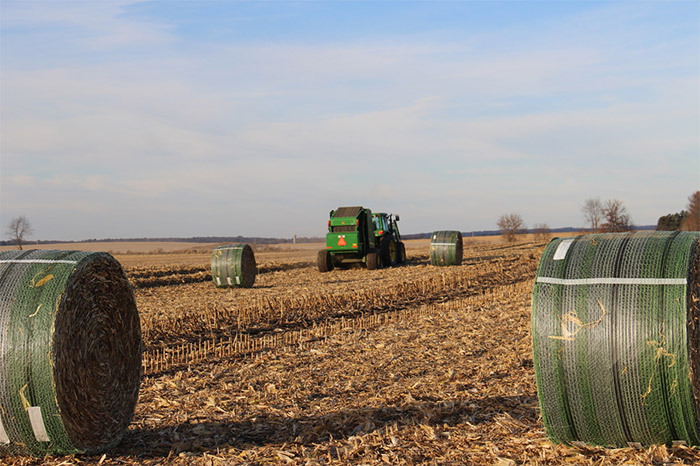 John Deere B−Wrap®: The alternative to indoor storage! 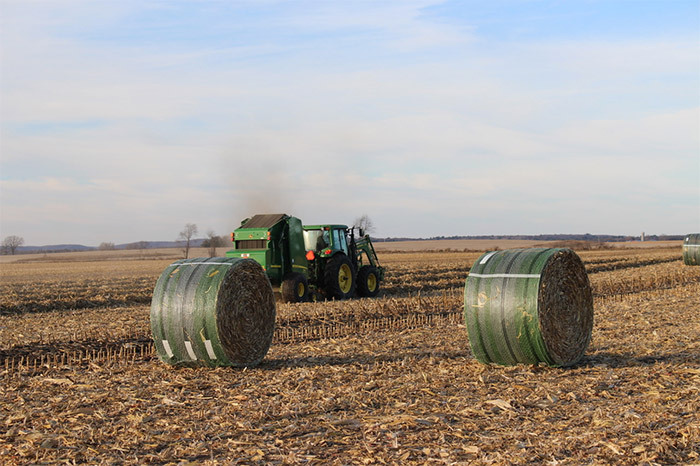 The revolutionary John Deere B-Wrap®, a joint development by Tama and John Deere, is made especially for bales stored outdoors in tough weather condition. 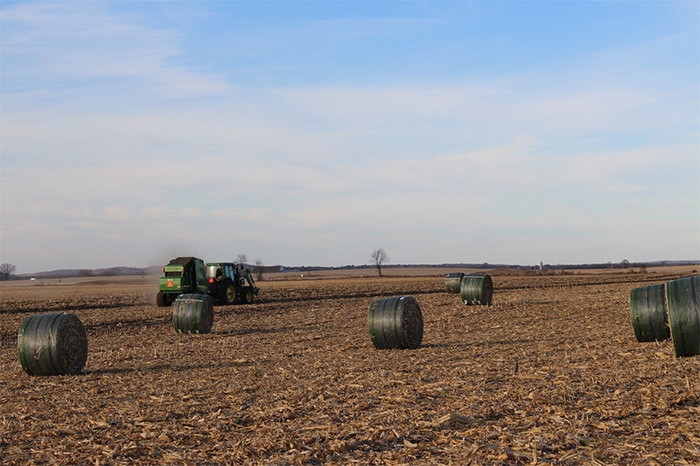 It protects your valuable hay crop from rain, snow, and ground moisture. You get barn-quality hay without the barn. 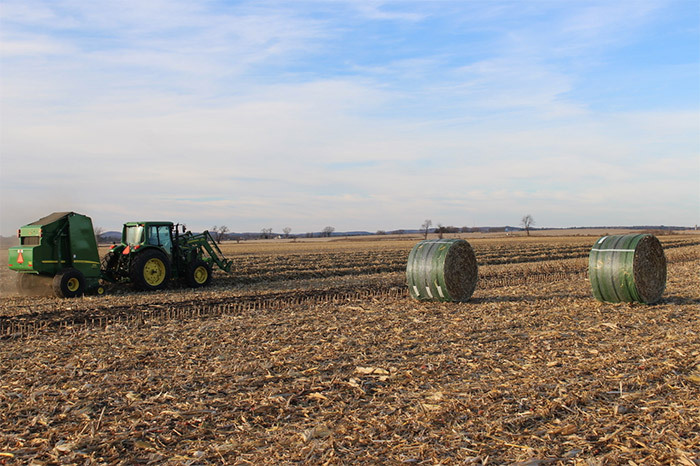 John Deere B-Wrap®. The Alternative to Indoor Storage. It's the best wrap for your best quality hay. 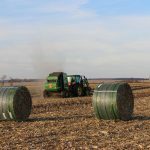 It protects your valuable hay crop from rain, snow, and ground moisture. You get barn-quality hay without the barn. 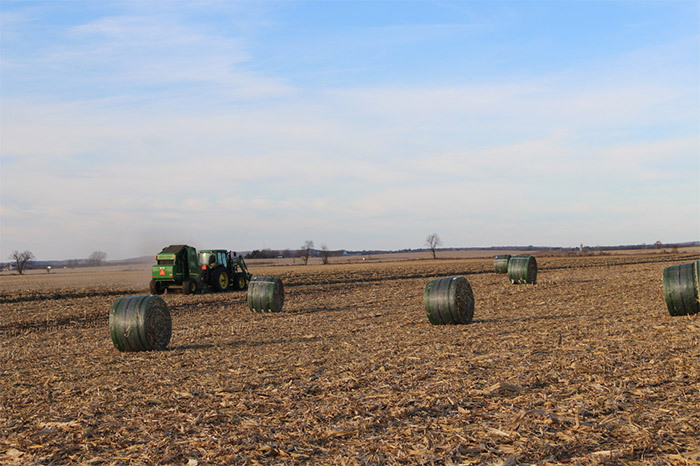 John Deere B-Wrap®, the alternative to indoor storage, a joint development by Tama and John Deere, is made especially for bales stored outdoors in tough weather condition. 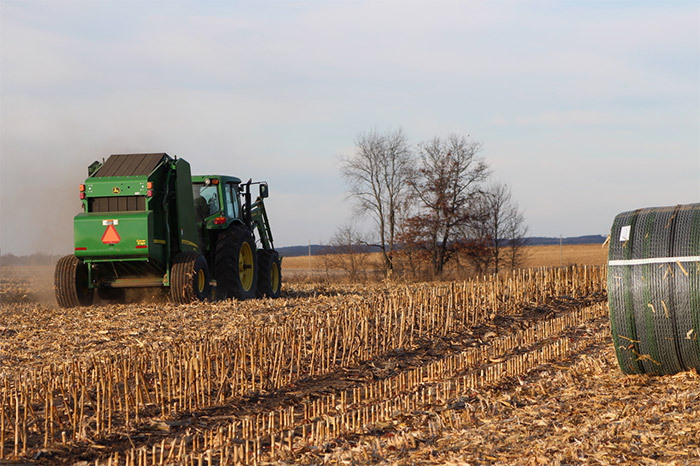 There is a growing demand for corn stover, both for cattle bedding and feed, and for making Ethanol. 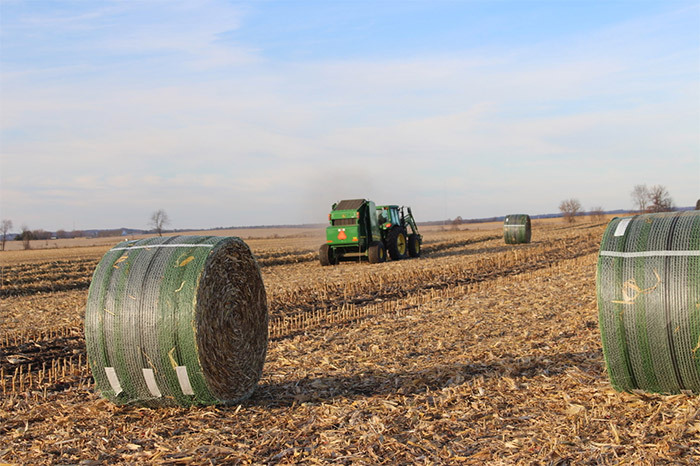 This program shows best practices for making, wrapping, and storing stover bales. 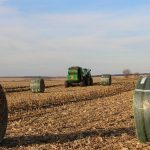 It covers use of net wrap, as well as John Deere B-Wrap® , the innovative wrapping system that better protects bale quality from rain, snow, and ground moisture. 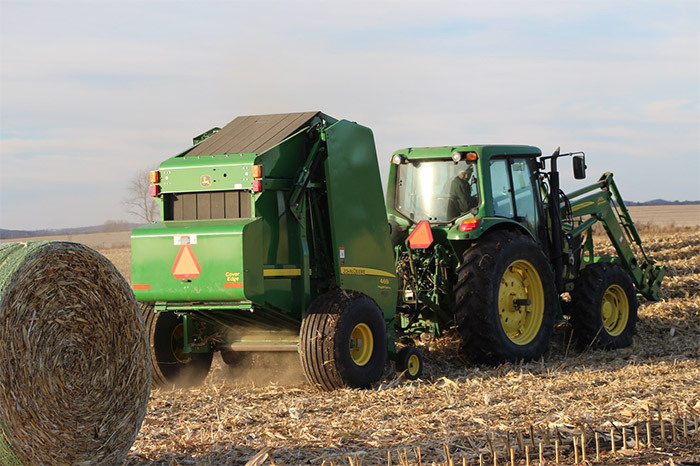 John Deere B-Wrap® this video will support the process of installing the baler kit and verifying the monitor setup, in order to assure smooth baling start up. 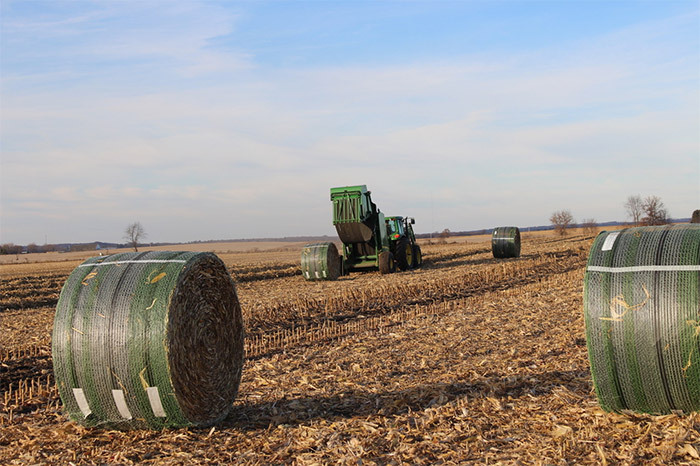 John Deere B-Wrap®. The Alternative to Indoor Storage. 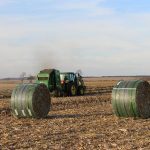 It's the best wrap for your best quality hay. 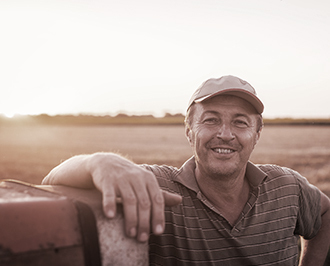 It protects your valuable hay crop from rain, snow, and ground moisture. You get barn-quality hay without the barn. Cold and sunny 30 degrees — Great Day! B-Wrap® worked great — JD--TCSM here too! 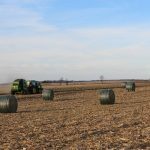 90 Bales. 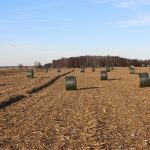 One row of net bales in there.